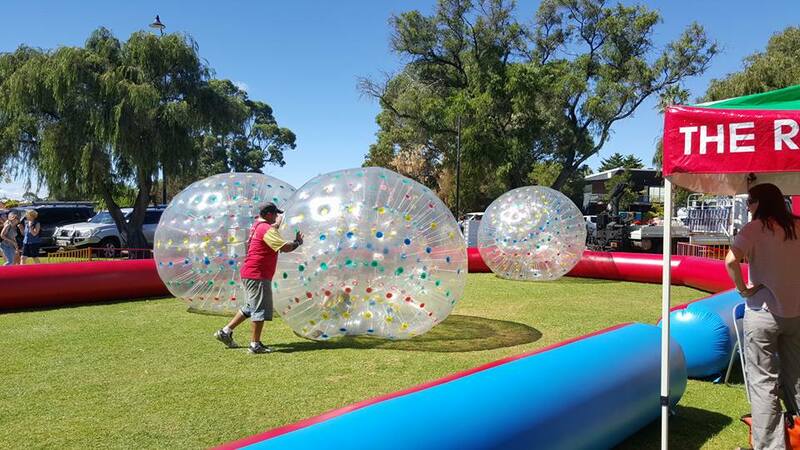 ﻿ Mandurah Rotary Duck Race | Easter Saturday Fun Day in Mandurah! The Rotary Clubs of Mandurah are hosting the tenth Mandurah Rotary Duck Race on Easter Saturday 20 April 2019 on the Eastern Foreshore. This year the total funds raised by this event will be close to half a million dollars. Promote Rotary as a relevant community service organization having fun doing great stuff locally, nationally and at a global level. The Family Fun Day starts at 10.00am with activities for children and family that include kid’s rides, face painting, speciality food stalls and exclusive art & craft works for the family and much much more. A day long entertainment program showcases local singers, bands and dancers on the main stage throughout the day. 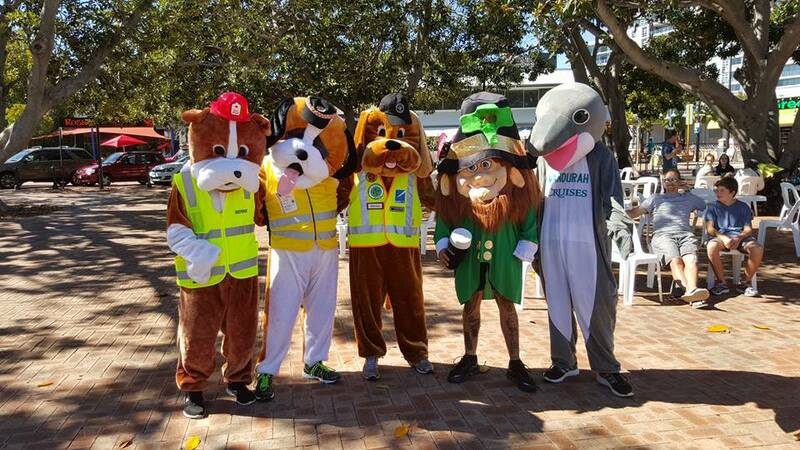 The Mascot Race along the central boardwalk will be on again this year which is a fun filled spectacular with a no rules race involving mascots from local business and sporting clubs racing against each other to win a useless trophy. 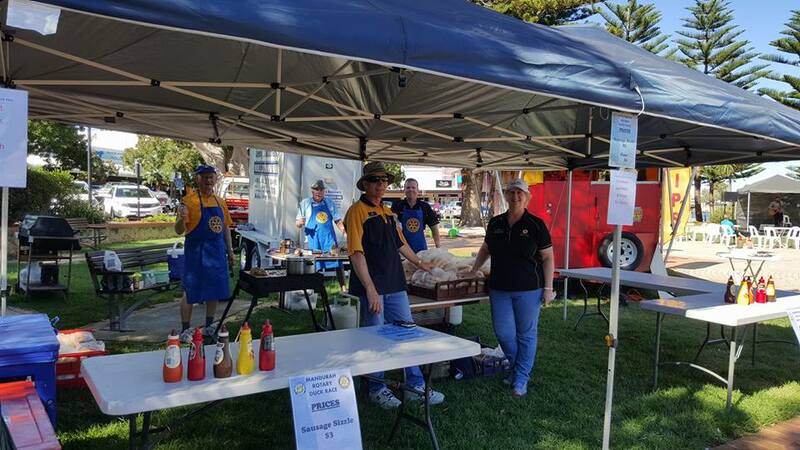 The Family Fun Day and Duck Race is all about Rotary hosting a safe alcohol & drug free event for families in Mandurah, the Peel Region and visitors to Mandurah. Rotary aims to positively promote local businesses such as speciality food, arts & craft producers along with youth entertainment performers and sports & service clubs to the community and through community participation raise funds for charitable donation back to the community at a local, national and international level. 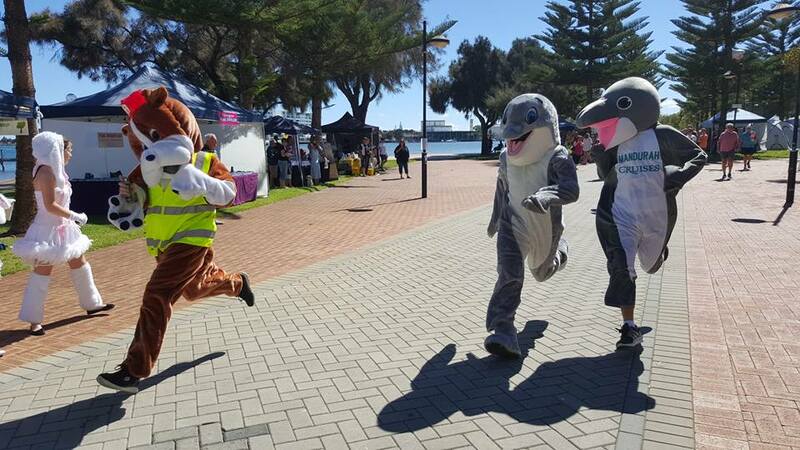 The Mascot Race will be held at 11.00am on the main walkway of the Eastern Foreshore. To enter the Mascot Race local businesses and sports clubs will need to make a gold coin donation, (or more) on the day. Free advertising of the business or sports club by Rotary on the day of the Mascot Race. The winner of the Mascot Race will receive bragging rights for winning the Duck Race Mascot Race and a completely useless trophy to display at their business or sports club. Senior schools, Naval Cadets, Surf Life Saving and other clubs are encouraged to enter the Recycled Boat Races which will be held in the Estuary. Entrants get the opportunity to design their boats, promote their skills using recycled materials and race against each other to win the useless Rotary Duck Race Trophy. Buy a $5 Duck Race ticket and the ticket number is recorded on the duck which is subsequently launched with all other ducks from the Jetty at the southern end of the eastern foreshore. The race is held over 100 metres and is governed by tide and wind movement. The first 3 ducks that reach the finish line are the winners and will receive the prizes. This race is for businesses only and there are only 500 tickets for sale. A business buys a $50.00 Duck Race ticket and the ticket number is recorded on the duck which is subsequently launched with all other ducks from the Jetty at the southern end of the eastern foreshore. The race is held over 100 metres and is governed by tide and wind movement. The first 3 ducks that reach the finish line are the winners and will receive the prizes. In 2019 1st prize is a $5,000 West Coast Radio Business Media Advertising Package. For $50 businesses purchasing tickets in the Corporate Duck Race have the opportunity to win $5,000 worth of business advertising to promote their business. When businesses buy a ticket the business name is allocated to the duck via the ticket number. The ducks are launched in the estuary and the race is over 100 metres and takes around 10 minutes to complete. A professional race caller (horse racing) will call the race and he calls the position of the duck (business name) on the course over the time the race is held. The name of each individual business associated with the duck is generally called or promoted to spectators multiple times. If the business buys multiple tickets in the duck race their business name is called according to the number of tickets they have. This means that two tickets = being called out twice as many times. The business is promoted on the day via A5 laminated business cards pinned to boards at the main Rotary Corporate Marquee and a number of business cards will be available to hand out to people visiting the marquee. Businesses are also invited to use other signs, banners etc to promote their business at the marquee if they wish to. Businesses in Mandurah cannot buy advertising for their business that equals what Rotary can do for their business. Chances of winning the prizes in this Race are very high for every business participating. Get YOUR ticket now and promote your business while being in the running to win fabulous prizes.